Ubisoft employs over 13,000 people, Electronic Arts claim to employ over 9,000. Triple-A video game companies have enormous amounts of money at their disposal. Recently though, these companies have not been receiving the same praise and positive community responses that we have seen in the past. Many new releases are buggy and have elements of gameplay locked behind paywalls or long grinds. There’s a consensus among many players of games being mis-sold. Adverts for Anthem, showing post-processed and enhanced graphics were vastly superior to the quality of the game that EA shipped. However, this piece is not about what the business is doing wrong, or how the industry has descended into the current climate. But rather where I think (and hope) the future could lead. While many modern games are commercially successful and overall positively received, some such as Anthem receive huge amounts of criticism online, with a user Metascore of only 4.2 a few weeks after launch. 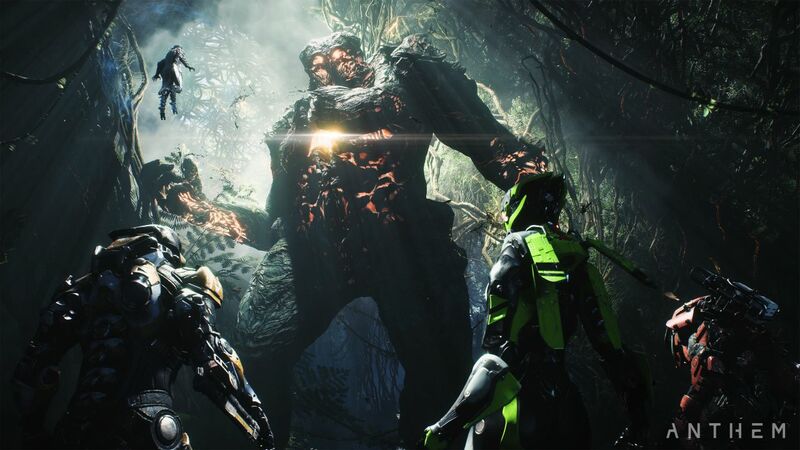 While Anthem has many critics talking about its gameplay and storytelling, among other things, a common talking point has been to criticize the business practices used to create it. The increased scrutiny on games like Anthem gives an indication that players are becoming more aware of how games are made and the relationships between the game developers and the players. I think this scrutiny is positive, and will hopefully encourage developers to re-consider harmful development practices. This is what this piece is about. For a long time now I have been thinking about what could ensue if the AAA games industry decided to create something that matched the best of their potential; if they chose to drop the corporate design choices and instead, deliver wonderful user experiences. When it comes to design intentions, there seems to be a dissonance between indie games and AAA games. Lots of indie games are made not simply to make money, but rather to provide a great experience to their players. Many indie games try to tell us something, and whilst this can also be said for larger games much of the meaning found in small personal games such as Stardew Valley, or older games such as Bioshock, I find lacking where modern AAA titles are concerned. Maybe this is a product of working with such a large number of people, or perhaps it’s a necessity when trying to maintain and develop games on the scale they are being deployed today. But overall I think there is room for things to change, and I hope that players starting to become fussier and a little stingier with their money will eventually lead to better content being released. It’s not that AAA games are necessarily bad right now. It’s more a question of their potential. I think the larger studios have the capabilities to create truly mind-blowing user experiences. And this can happen, but only when design stops revolving around money and starts instead with designers wishes hopes and dreams. Anthem is out on PlayStation 4, Xbox One and PC now.